We have constituted the mini check-in at our Hotel, thinking of the smallest in the family. Here they themselves will take charge of registering on your arrival at the Hotel so as to feel that all of the activities also belong to them. 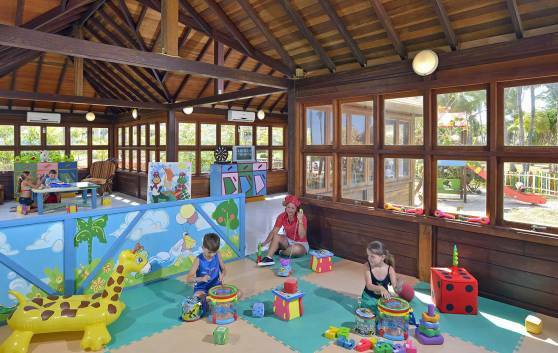 At our Hotel's Baby Club you will find safety and a choice of games for children. We have the Club 4 for under-5 children. 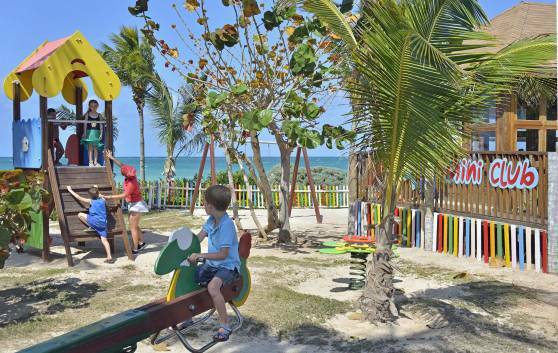 Enjoy your vacations free and easy, while your children play happily and safely in our entertainment programs, well assisted by our entertainment team. Our Mini-Club offers safety and variety for children from 5 to 12 years of age. Enjoy your holiday while your children play and happily take part in the recreation programs especially organized by our monitors. There is also a program available for teenagers. 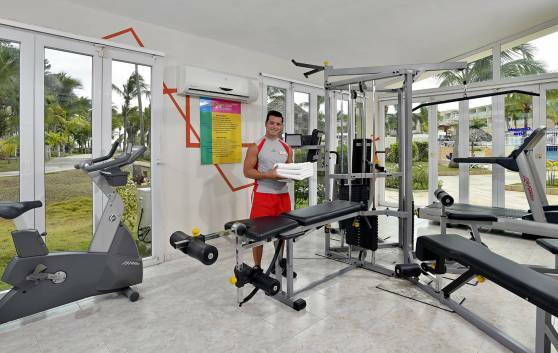 Visit our gym located in the swimming pool area of the hotel, with weight lifting, bicycles and Hercules body building equipment. Don't lose the option to stay in good health and weight. Try and enjoy the relaxing sauna after a day of exercise. It is located beside our Hotel’s gym. At our nautical sports center, even the most demanding customers will find activities suited to their taste. If you long to enjoy the marvels of the ocean floor or go diving near one of the most beautiful coral reefs in the world, we can make it happen. 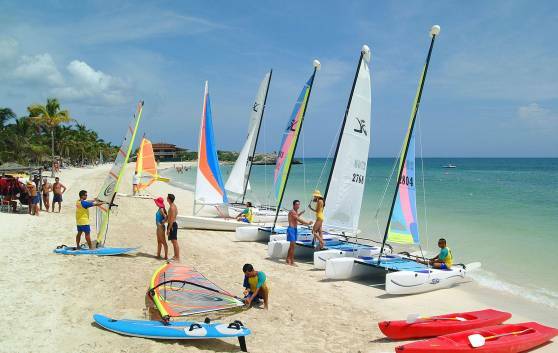 You can also engage in a wide range of water sports such as sailing, snorkeling, catamaran, among others. We also provide both gear and professionals divers to help you accomplish this wonderful dream. The Blue Diving Center, located on the beach and only a few meters away from the Meliá Cayo Coco hotel, offers professional diving services for those who wish to discover the secrets of the stunning sea bottom and coral reef. Free initiation lessons in the pool once a week and SNSI international certification courses are also available. 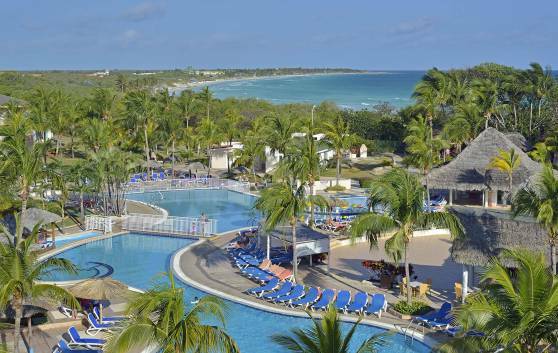 The hotel has two out-door, fresh-water swimming pools, with an area for children, surrounded by lush tropical gardens and terraces. Lounge chairs and umbrellas service included.